Episcia - very decorative houseplant. The trimmed leaves have various shades and an unexpected coloring of plates. All this work of selectors: they brought a set of grades out of three main types. This beauty, is from rainforests. Grows under crowns, creating in the shaded and damp places carpets from velvet and picturesque leaves. 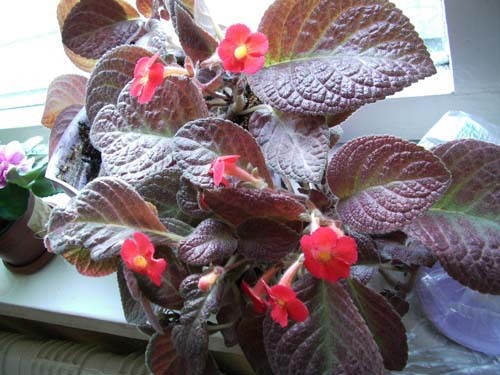 The episcia copper served as material for removal of many hybrids which differ among themselves in both the sizes, and shades, and a coloring of leaves. Flowers single, with a diameter of 4 cm, a nimbus scarlet with yellow core. Leaves green-brown, are painted with silver strips. Have dense omission of henna-red color. At an episcia gvozdikotsvetkovy two types of escapes: long on which there are affiliated plants, and short. Leaves as at all representatives of this sort, have a form of an oval and omission. The middle of a dark green plate is noted by a purple pro-vein. 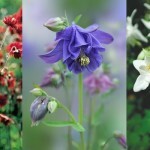 Special decorative effect is represented by large snow-white flowers which nimbus has a tubule form with rassechyonny as at a carnation, bendings. The following look is an episcia the Emerald velvet. Its leaves, large, trimmed, dark, olive-brown with green streaks. Flowers of a gentle lilac shade with white core. And, at last, water color episcias. These are the most unexpected, original, similar to sugar candies fruit drops, crumbs. Some copies have no green color at all: only white, pink and yellowish. Looking at chaotically painted leaves, apparently, that it not plants, but a children's mosaic. It is possible to grow up these crumbs under a luminescent phytolamp in glass capacities. Most decoratively the composition from several plants planted in a round aquarium looks. The water color episcia is incredibly beautiful, a real miracle of floristics. 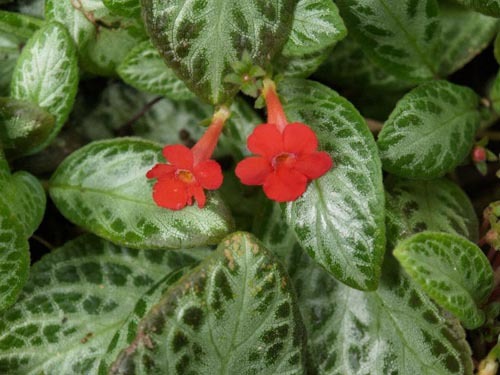 To water gesneriyevy to which the episcia belongs, it is necessary plentifully, regularly and only warm water. 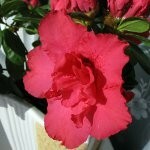 Otherwise there can be brown spots. If at a window plant leaves turn yellow, the reasons can be a little: or it is overfed with fertilizers; or indoors, where he is supported, hot and dry air; or it is solar burns. If it is in the stuffy room or grows in the old, already soured soil, on flowers and leaves there is a gray decay and mealy dew. In these cases urgent change in a new healthy substratum and washing of roots in warm otstoyanny water is necessary. At shortage of light, a lack of nutritious elements of the soil and in the presence of dry and cold air the plant can refuse to blossom. 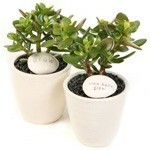 As well as the majority of houseplants, make multiple copies it shanks, seeds and sockets. The easiest way is vegetative reproduction, process takes place much quicker and rather easy, even for fans of gardeners. The episcia needs to be made multiple copies in the spring. It is necessary to take the socket and without cutting off it from the plant to prikopat in land mix: peat and sand. As soon as it took root, and it occurs quickly enough, it is already possible to cut off from a mustache. Then it will be possible to be engaged in change on a constant place. The main thing, hold room temperature not lower than +23 degrees. This way too is rather simple. It is necessary to take a shank of lateral escape with small knots and to put it in water or to put in a pot. For preservation of heat and improvement of germination it is better to cover with a can or a film. Within 10 days there will be a germination.